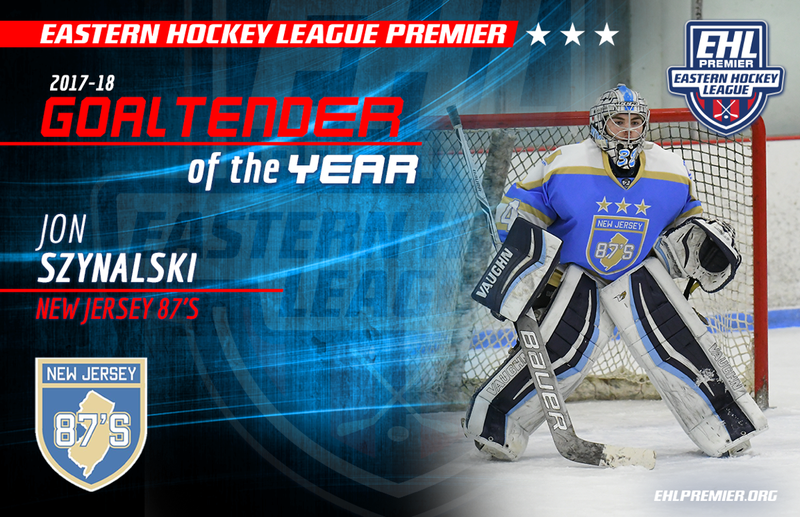 BOSTON, MA -- The Eastern Hockey League Premier (EHLP) is pleased to announce that Jon Szynalski of the New Jersey 87s has been named the 2018 Goaltender of the Year (GOY). The native of Lincoln Park, NJ began the season with the New Jersey Renegades before moving over to the 87s in late October. It was at that point in the year, when the season really took off for Szynalski. The Goalie of the Year award and all other league honors, are voted on by the coaches in the EHLP. "When Jon came into our team he brought with him his veteran leadership," said 87s head coach and general manager Adam Houli. "He understood his role and he was very eager help our team get better. He embraced being the starting goaltender for an expansion team and wanted to show off his abilities. He is so worthy of this award, because he is a player who trusted the process. He has had a long career and it will be capped off with a commit to an ACHA Division I club team. He worked hard all year, knowing he was trying to play his way into school. He excelled in our environment and took full advantage. He is the type of person you want backstopping your team. He is an excellent teammate on and off the ice, has a supporting family, and always lends a hand." 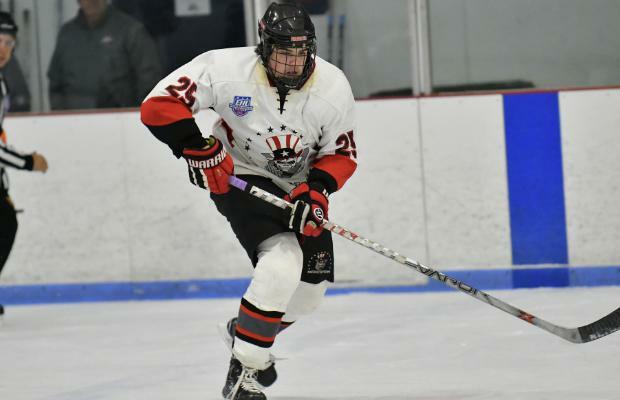 While the season ended sooner then they had hoped, Szynalski and the 87s have plenty to be proud of following the organization's Inaugural Season in the EHLP. In 20 regular season starts, Szynalski owned a record of 15-5-0 to go along with a stellar 2.03 GAA and a .914 save percentage. He was definitely a key cog in his team finishing tied with the 3rd most points in the EHLP. The 2nd place finisher for the GOY honor is Dean Kern (Boston Jr. Rangers) and 3rd place is Connor Carbo (Vermont Lumberjacks). Wednesday, the EHLP will announce the 2018 Coach of the Year (COY).